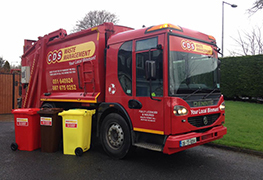 Here you will find an outline of some of the Waste Management Services offered by CDS Waste Management, Carrick on Suir, Tipperary. 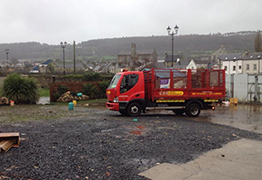 CDS Waste Management is your full-service local bin collection service in Carrick on Suir and surrounding towns. 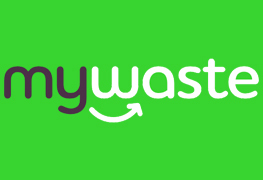 If you have a need to clear some items from your home or place of business, but you can't justify hiring a skip, then you may be interested in CDS Waste Management's Clearout Service. For a Carrick on Suir based domestic recycling service you need look no further than CDS Waste Management based in Carrick on Suir itself. Do you need a skip for a spring clean? Then CDS Waste Management can provide a skip for you. Presbytery, Carrick-on-Suir, Co. Tipperary, Ireland. 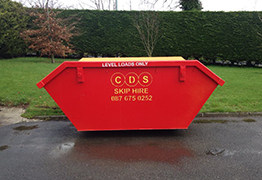 Founded in 1998 by owner and operator Mark Power, CDS Waste Management is an independent professional waste management company based in Carrick-on-Suir, Co. Tipperary. One of the most important factors when choosing a waste management operator is licensing and insurance. You can rest assured that when you deal with CDS Waste Management you are dealing with a professional operator that is Fully Licensed and Insured. Our Waste Permit Number is WCP-KK-10-542-01.